Sparco 6" x 9" Plastic Clipboard - Clipboard provides a stylish and functional way to write without the use of a desk. Made of durable molded plastic. 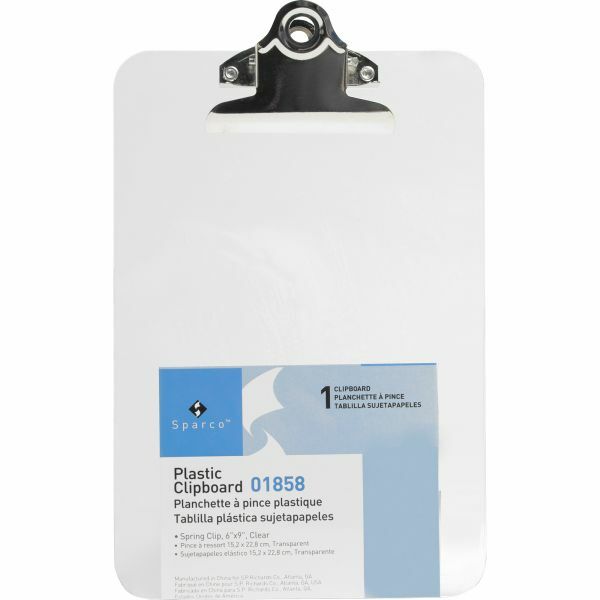 Clipboard is equipped with a sturdy spring clip.